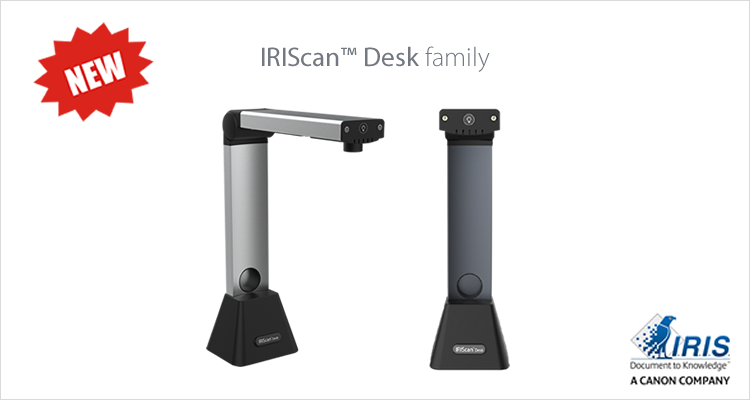 IRIS is currently expanding its ambitious portable scanners portfolio, with the upcoming launch of the IRIScan™ Desk family. A brand new camera scanner that looks like a desk lamp, yet offers so much more! 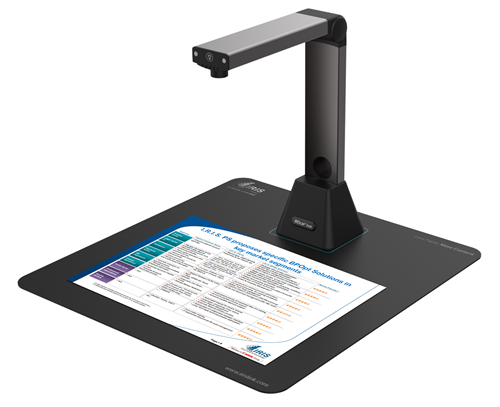 The IRIScan™ Desk camera scanner could be mistaken with a lamp, however it is much more powerful than that. It is in fact a cutting-edge camera scanner. Thanks to this brand new scanner, you can scan each page of your books, magazines, leaflets,.. in a snap. Simply turn the pages under the IRIScan™ Desk: its built-in camera automatically detects your movement and scans each page of the document. Moreover, it automatically removes your fingers positioned at the edge of these pages. Finally a scanner that makes it possible to create digital books quickly! 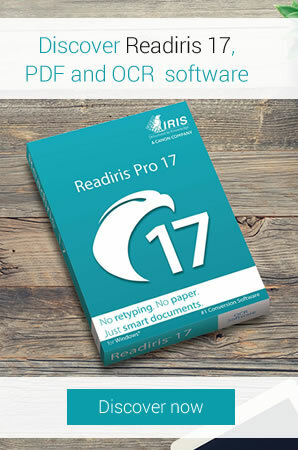 Its built-in OCR (character recognition) engine allows you to extract all texts and save your documents in indexed PDF, Word, Excel,… For all these reasons, the IRIScan™ Desk will be a great companion, placed at the corner of your office, to achieve even greater efficiency! We just won ‘Best Peripherals & Accessories vendor’ award at DISTREE EMEA. A great recognition for our cutting-edge scanners! • USB Powered: Plug and play, no need for external power adapter. • One click scanning: the scan takes a few seconds only (1,5 sec). • Self timer shooter: Automatically scan after setting the shooting interval time to 3/5 or 7 seconds. • Video capture: Record a video showing both your webcam and the page displayed by the camera scanner. Ideal for e-learning / the digital classroom! • Automatic detection of documents: just place any document on the scanning mat and it will be automatically detected and cropped. • Digitize books in a blink: export to an .Epub or .PDF format before reading them directly in your favorite electronic reader.